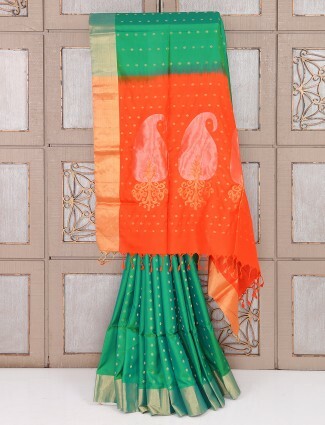 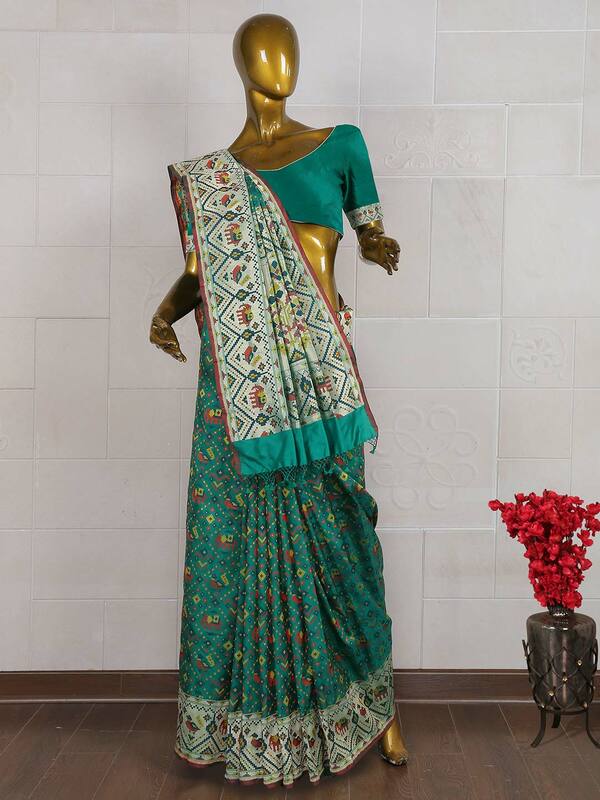 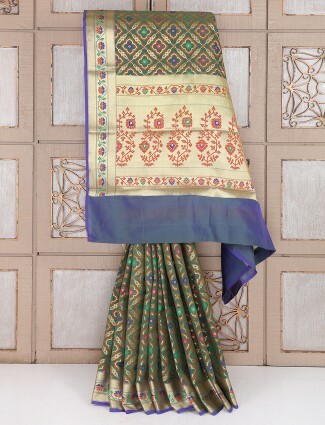 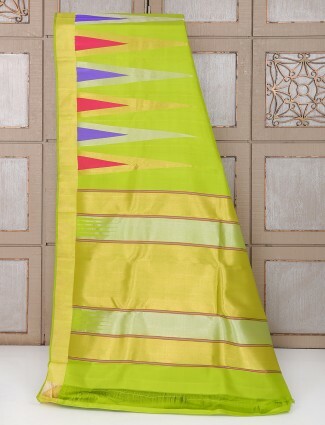 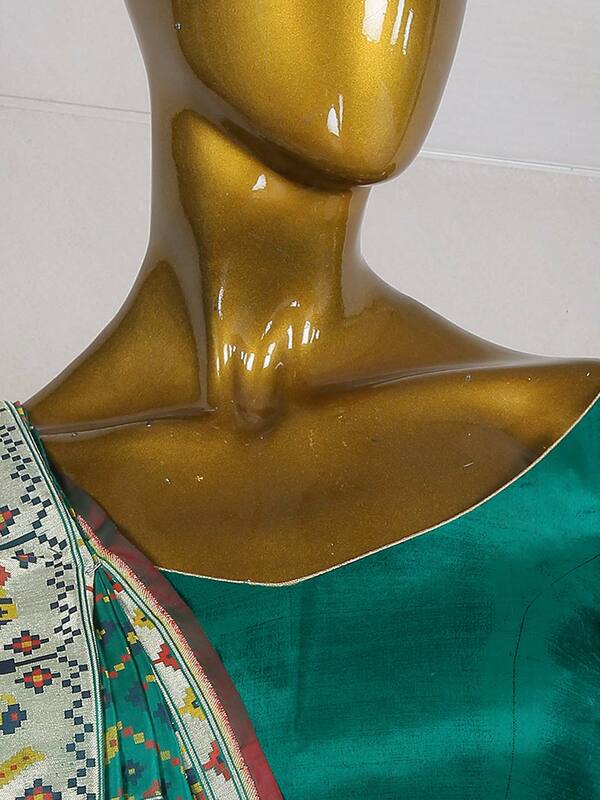 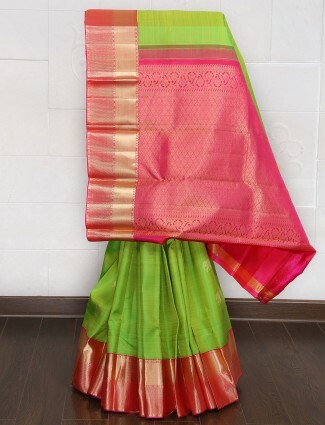 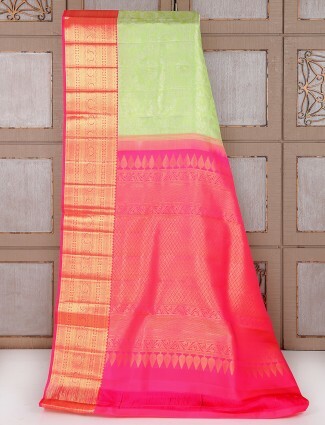 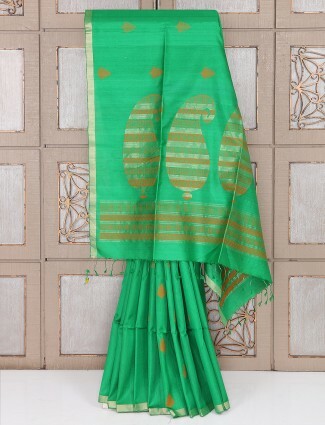 Reveal your amazing look by wearing this green hue pure banarasi saree in wedding ceremonies. 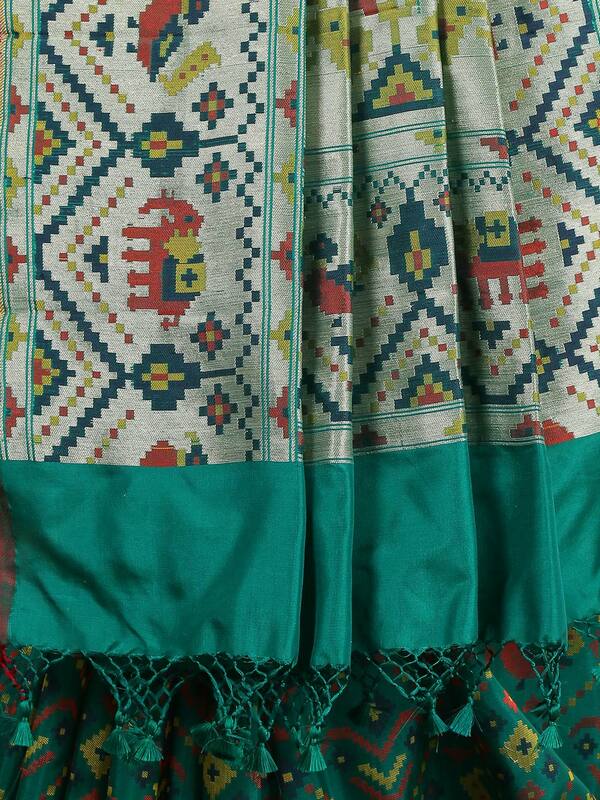 Prettify with nice thread weaving through out the attire. 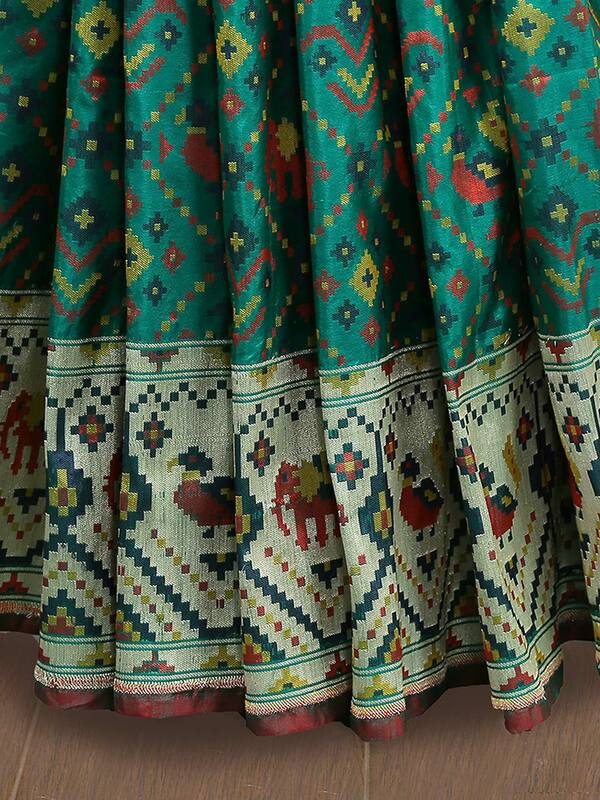 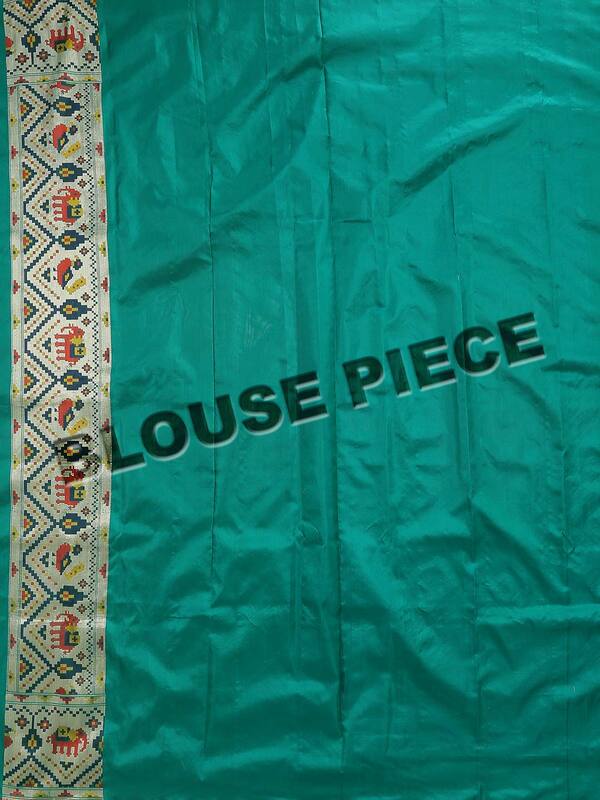 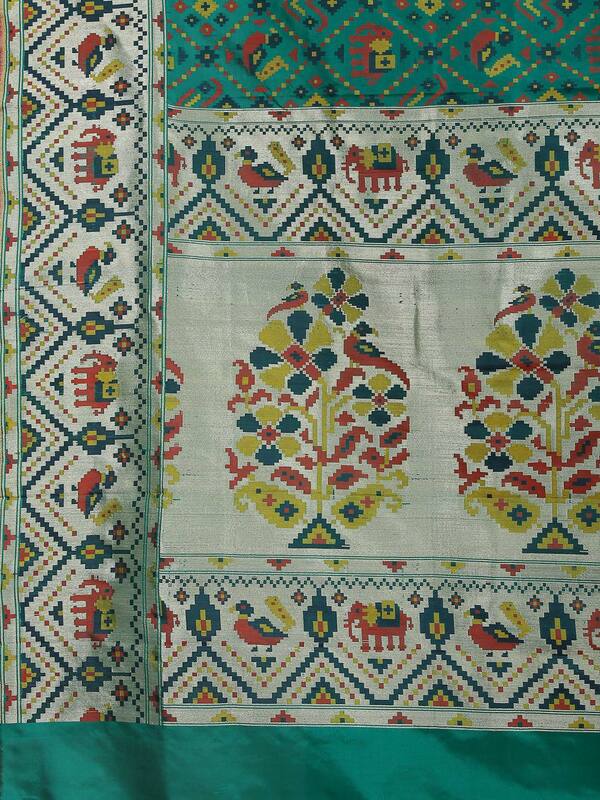 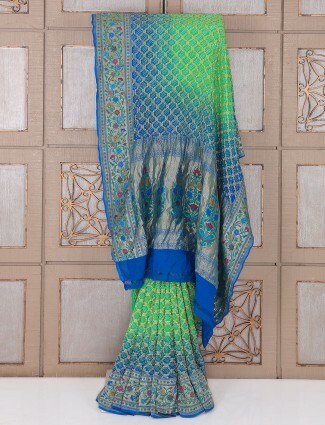 Comes with unstitched blouse piece.